We are pleased to announce the 2019 meeting of the European Delirium Association will be held jointly with the Royal College of Physicians of Edinburgh and endorsed by the Scottish Delirium Association. This is one of the world’s major meetings on delirium, covering the state of the art in delirium research and clinical practice. The programme covers a wide spectrum of topics, from advances in clinical care in the acute hospital and community settings, quality improvement, pathophysiology, educational methods, palliative care, and clinical trials. Dr Emma Vardy BMedSci, MBChB, PhD, FRCP is Consultant in Geriatric Medicine and Clinical Lead for Dementia and Delirium in Salford, England. In the last few years she developed and implemented a new digital assessment process to detect delirium in the acute hospital as a Global Digital Exemplar. In the last 12 months this has led to large real-world clinical change: screens for delirium have risen from 800 to 5,600 (7-fold increase), with increased overall delirium detection and reduced length of stay in patients with delirium. 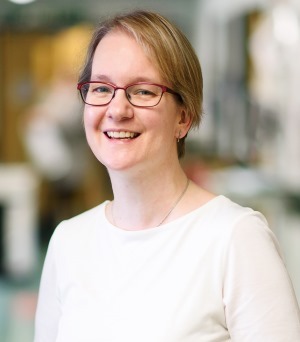 Dr Vardy’s talk will describe how combining digital technology and quality improvement methods can improve delirium assessment and care at scale in clinical practice. She will also share how she has worked with managers and policymakers to create this project. Dr Vardy will also speak about raising delirium awareness and engaging with policymakers regionally and nationally, including the Secretary of State for Health in England. The EEG in delirium: where are we now in research and clinical practice? Prof Arjen Slooter MD PhD is Professor of Intensive Care Neuropsychiatry at University Medical Center Utrecht, The Netherlands. He is current President of the European Delirium Association. Prof Slooter and colleagues have been working on EEG as a means of assessing brain activity in delirium for more than 10 years. They have shown that during delirium, EEG shows distinct features, including an increase of slow activity, and a decrease of brain network strength and integration. EEG can aid in resolving unanswered research questions about the pathophysiology of delirium. Objective delirium detection and monitoring can be performed with a brief, one-channel EEG recording. 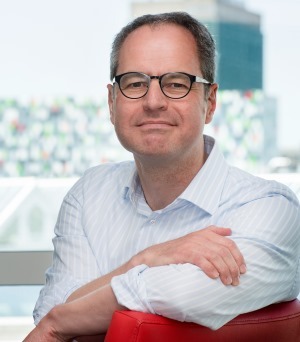 Prof Slooter will provide a state of the art talk on EEG in delirium, giving insights into recent scientific advances and clinical use of the EEG in delirium care.